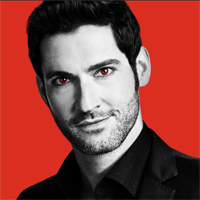 Showing 1 - 15 of 20 articles tagged "Lucifer"
Tom Ellis offered a preview of how much the canceled Fox series will change now that it's on Netflix. The Scottish actor will recur on Season 4 of the Netflix series as Father Kinley. The streaming giant has ordered a 10-episode fourth season of the canceled Fox drama starring Tom Ellis. Supergirl and Charmed will be paired together on Sundays as The CW reclaims that night after nearly a decade. Should bubble shows end the season with a cliffhanger? Fox Television Group CEO Dana Walden says it "was not our choice" to drop Crawford.